Great for school fetes, fundraisers, etc. 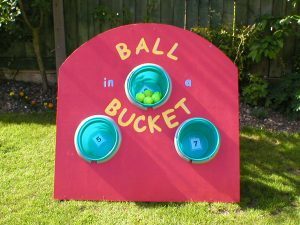 Includes buckets and tennis balls. 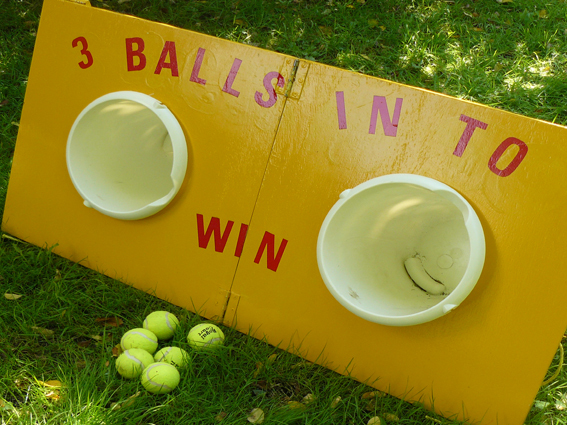 This fete game folds to fit in comfortably in a smaller car.